Despite the fact that people are increasingly typing on a computer and rarely write by hand, handwriting has not lost its value. Exquisitely signed postcard, wedding invitation, greeting to is much nicer than the printed text. Furthermore, beautiful handwriting – a reason for pride. Select a handle that is comfortable for you to hold in your hand. Try it first, holding a pen in his fingers, writing in the air in large sweeping letters, if you draw on a blackboard. Through this exercise the movement of your hands will become more clear and confident, and the letters more even. Try a few different spellings of the letters and select the one that suits you the most. Pay attention to how other people write. Take a look at the handwriting samples of famous writers, poets, and philosophers, define the characteristic shape of letters, swirls, etc. Handwriting depends on the nature of man and has much to say about it. Find your individual writing style and use it. Try to write on lined paper. Due to this the lines will be smooth and will not be jumping up and down. Practice, write a few sentences on a clean, lined sheet, and then raschertite it and see, won't slide if the lines do not change whether the distance between them in different parts of the text. Practice until you succeed and don't learn to write exactly the same as for the lined and plain paper. Learn to write beautifully offer "Eat more of these soft French buns and drink some tea". The secret for this suggestion is that it contains all the letters of the Russian alphabet. In addition, it is a great alternative to traditional school writing out all the letters of the alphabet individually. Write in lowercase and uppercase, practice, pay attention to the connection of the letters. If you want to learn how to write beautifully in English, practice in writing the sentence "the quick brown fox jumpes over the lazy dog". Practice as often as possible. Keep a journal, write down important thoughts in a special notebook, make notes in the diary. 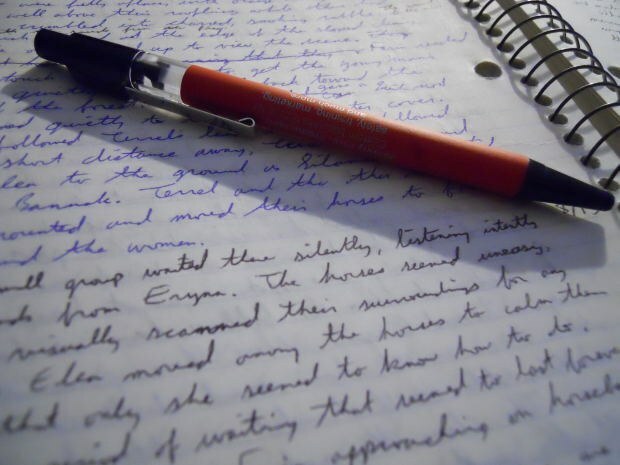 Watch your handwriting and constantly improve it.